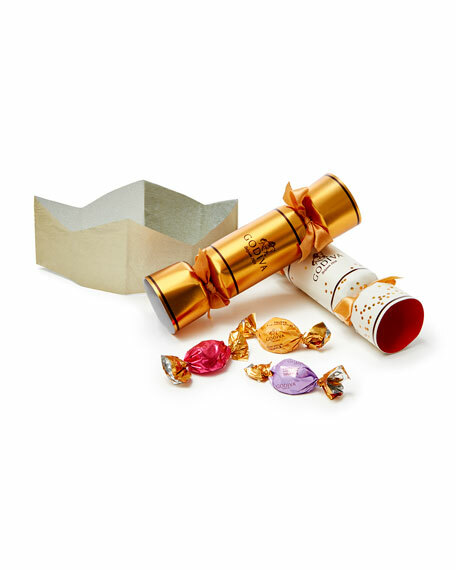 6-piece party cracker gift box. 11.75"W X 2"D X 7.75"T.
Serving Size 1 package; servings per container: 6. 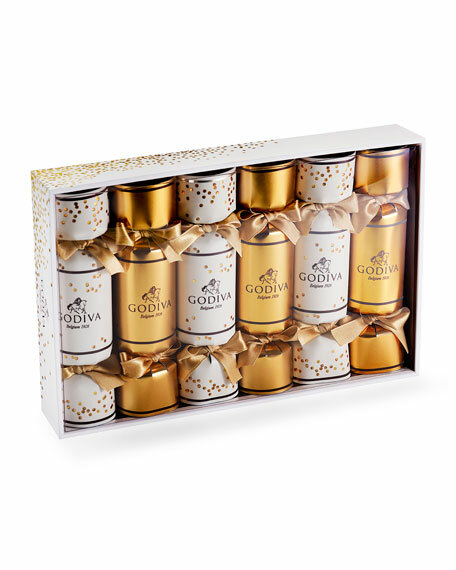 Allergy Information:ALL of Godiva's dark, milk & white chocolate may contain: dairy or milk products, nuts &/or peanuts in addition to gluten. Any person with a dairy allergy, nut allergy or gluten allergy should NOT consume ANY of our products. Kosher OU-D.
For in-store inquiries, use sku #2842120.